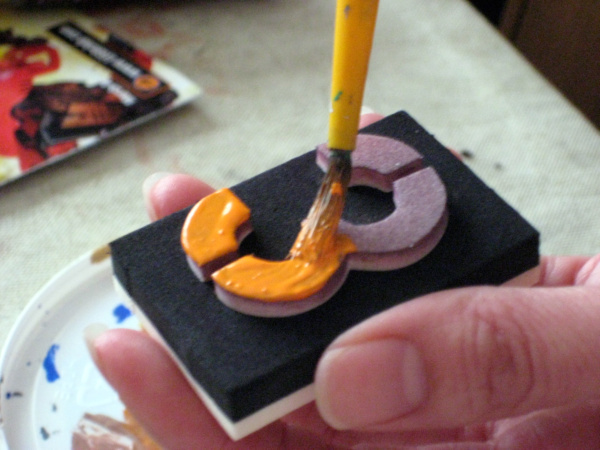 Crafty Monday is my time to share a craft with readers. This column started in January 2011. 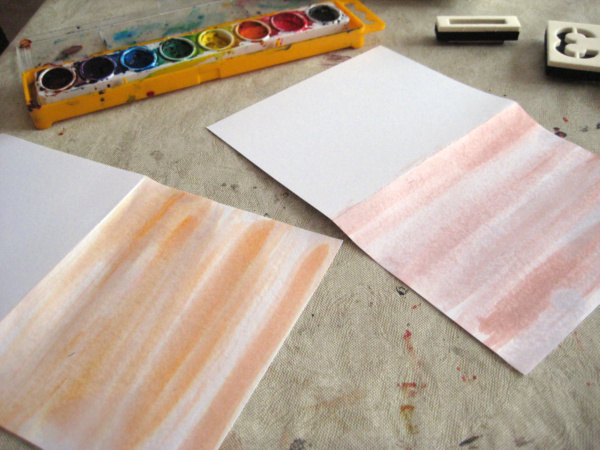 I started by making creases in blank cards. I decided on a watercolor wash for a background. 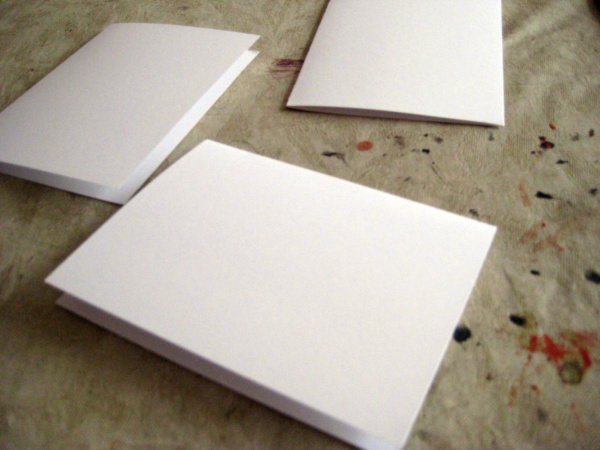 I prefer non-white backgrounds for most cards, yet need the white so I can write on the interior. 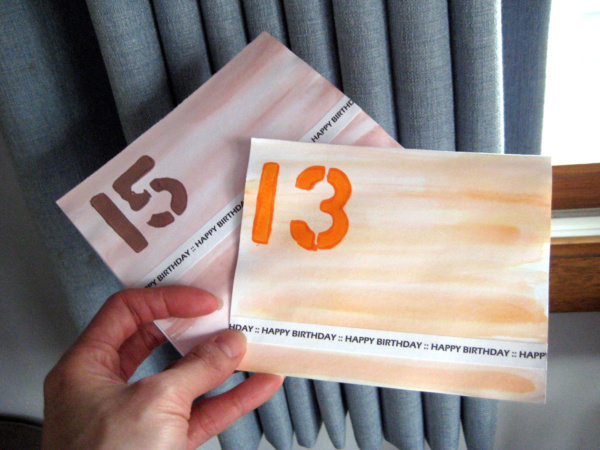 I went with a monochromatic look — orange for one card and brown for the other. After the background dried, I mixed acrylic paint to stay with the monochromatic look, then brushed it on foam stamps — 13 and 15 for my nephews’ ages. 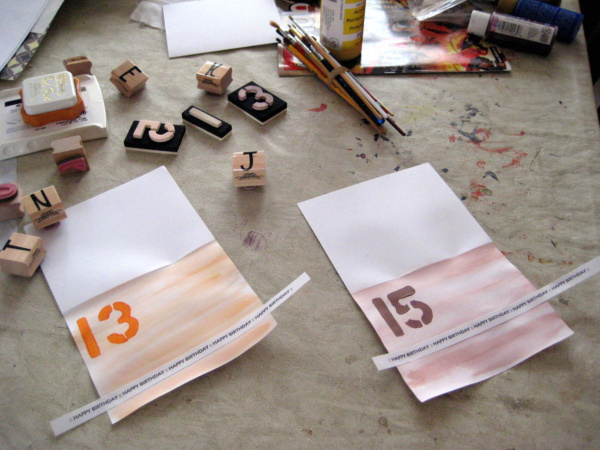 The next step was to make paper “ribbon” using the font Eras Demi ITC. I typed a line’s worth of “:: HAPPY BIRTHDAY” in MSWord, printed a hardcopy, then cut and adhered the “ribbon” in place. 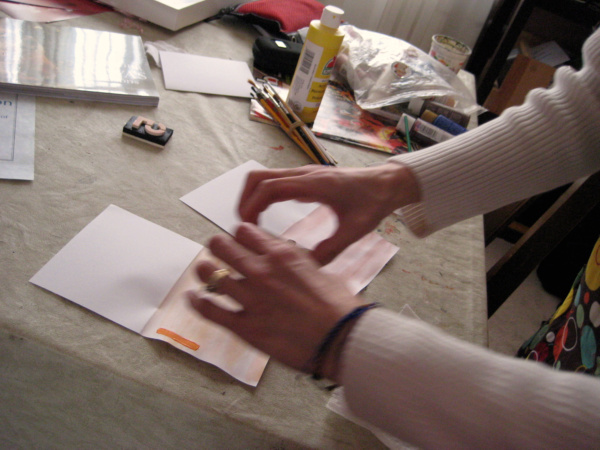 The card is finished by trimming the excess away. Lastly, the cards can be flattened by pressing with an iron (faster) or heavy books (slower). I didn’t start in time to flatten my cards before the birthday party. …was entrant #2 — 1PopstarPrincess, you can send a mailing address to me through the Contact Me form or wait for my email. Two $4 DiGiorno coupons, a hot pad holder, and magnet clip will be at your house soon! THANK YOU TO EVERYONE WHO PLAYED. This entry was posted in crafting and tagged card making, giveaway. Bookmark the permalink.